Ever since e-cigarettes hit Western markets and became an alternative to combustible cigarettes, one of the main arguments for switching was the considerably low price of vaping when compared to smoking. If a new study by the American Cancer Society is to be believed, we have all been living a lie and the price of tobacco cigarettes is actually much lower than that of both both disposable and refillable electronic cigarettes. Researchers led by Alex Liber of the American Cancer Society and the University of Michigan School of Public Health compared the prices of tobacco cigarettes and e-cigarettes in 45 countries around the world and found that in 44 of them e-cigs were the more expensive choice. On average, the price of a pack of analogs was just over half the price of a disposable e-cigarette ($5.00 and $8.50, respectively). 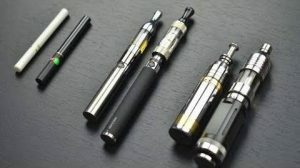 Their analysis also showed that while nicotine-containing e-liquid can be a couple of bucks cheaper than a pack of cigarettes, the minimum price of a rechargeable e-cigarette to use it with is over $20 (models preferred by most e-cigarette users apparently cost even more). “Existing prices of e-cigarettes are generally much higher than of combustible cigarettes. If policymakers wish to tax e-cigarettes less than combustibles, forceful policy action—almost certainly through excise taxation—must raise the price of combustible cigarettes beyond the price of using e-cigarettes,” Liber and his team concluded. So basically, anyone considering switching from tobacco cigarettes to e-cigs to save money can just forget about it. Of course, there are other, more important incentives to make the switch, but I still can’t believe my math has been wrong all these years. I could have sworn I saved thousands of dollars a year using e-cigs and now this study comes along and makes me question my own calculations. Obviously, this isn’t about my experience, not specifically, but 44 out of 45 countries sounds like it’s pretty much a general rule. Now, I haven’t actually read the whole study, since the Tobacco Control Journal wants to charge me $40 for ONE DAY of free access to it, which I think is outrageous, so I can only speculate about their price comparison. 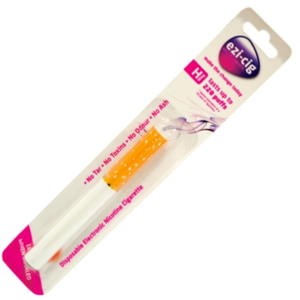 To be honest, I do believe that when comparing disposable cigarettes – the kind you can buy at convenience stores and gas stations – to cheaper tobacco cigarettes you may find that vaping is actually more expensive. The major cigalike brands have been snatched up by tobacco companies and they are indeed outrageously expensive, but for most e-cig users they are merely an entry point to vaping. They gradually move on to more advanced devices that not only deliver nicotine more effectively but allow them to customize their vaping experience to the extreme and can be really cheap to use. This may not be the most appropriate analogy, but it’s the best I can think of right now. Let’s say you need to travel out of town and you have three options – take a cab, drive your own car or take a bus. From a financial standpoint, Big Tobacco-owned disposable e-cigarettes are the cab, advanced vaporizers (used with disposable atomizers and premium e-liquid) are the personal car and DIY vaping (mix your own juice, make your own atomizer coils, etc) are the bus. The first one hardly makes any sense, the second isn’t the cheapest but makes a lot more sense and the third is actually quite cheap. Judging by the outcome of its study, I highly doubt that the American Cancer Society actually took all these options into consideration when they compared the price of using e-cigarettes with that of smoking. Yes, good advanced vaporizers can cost anywhere from $20 to more than $400 depending on materials used and built-in features, but for $19.90 you can buy the amazing Joyetech eGo AIO, for example, and that’s a one time payment. All you have to worry about after that is buying e-liquid (which the study admits is cheaper than tobacco cigarettes) and disposable atomizer coils that cost under $2 and last about a week. How is that more expensive than buying cigarettes? And don’t get me started on mixing your own e-liquids and building your own atomizer coils. That’s where the price difference gets really ridiculous. I know people who vape on only $5 a month (not including the one-time cost of their vaporizers) – that’s the price of the cheapest pack of cigarettes in America. I could go on with examples, but you get my point. What I’m trying to say is this – you could say that e-cigarettes are more expensive than combustible cigarettes, and technically you would be right because disposable e-cigs can be very expensive, but that doesn’t reflect the reality of vaping in general. The market is so competitive these days that prices on high-quality vaporizers and mods are going down virtually every day, and although the initial cost may still be higher than that of a pack of cigarettes, savings in the long run are substantial. In my opinion, saying that smoking is cheaper than vaping is just stupid and shows just how little these researchers really know about the phenomenon. So, please, don’t believe everything you read in the papers. Vaping is still a cheaper alternative to smoking and it’s only getting cheaper every day. 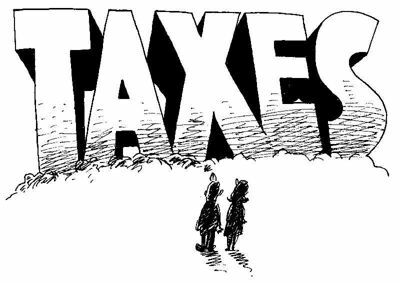 Finally, I read some opinions of vapers who believe these findings – false as they may be – might actually convince legislators to tax e-cigarettes less because of their already prohibitive prices. But, really, who are we kidding. These guys don’t care about how much e-cigs cost, they just want a way to cover the budget holes caused by people switching from smoking to vaping. If that means doubling or tripling their current price, so be it. The worse that can happen is people going back to cigarettes. One way or another, they’re still getting their share and that’s what matters, ultimately. Going by this article, the study surveyed the average price of a pack of 20 cigarettes compared to the average price of a single disposable e-cigarette. I think most people already know this to be the case. No doubt future studies will look at other aspects of the financial cost of vaping -v- smoking. It will take a very long time indeed for the whole picture to emerge, not least because it is in continual flux. It is ENTIRELY reasonable for the American Cancer Society to begin by examining what barriers and/or incentives there are between the average smoker and the most common first vape-related purchase.